Former Firefly beauty Morena Baccarin might be enjoying the success of her new Marvel movie Deadpool, as well as loving her time on the hit DC television series Gotham, but it seems that her personal life is still not quite in the place she wishes it would be. The reasons for this? Well, her pregnancy and her divorce proceedings are making her life rather difficult at the moment. When it was announced that Morena Baccarin and Austin Chick were getting a divorce, it looked like things were going to run smoothly at first, with Austin agreeing initially agreeing to co-parent their two year old son in New York, in order for the child to stay close to his mother. However, once Chick found out that Morena Baccarin was in a relationship with Ben McKenzie, he decided to move to Los Angeles instead. This has led to quite a messy divorce, with Morena Baccarin and Austin Chick fighting over custody for their child, although things have had to be put on hold for a while. Morena does not want the whole ordeal to have a negative impact on her pregnancy, so the hearing has been moved to 30 days after she gives birth, with the baby due to arrive any day now. 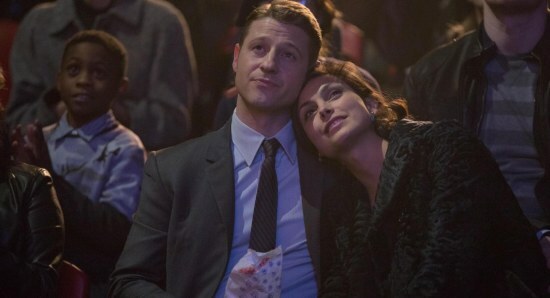 While things are not going as smoothly as they would have hoped, we are sure that once the baby has been born and the divorce proceedings are over and done with, Ben McKenzie and Morena Baccarin will go on to live a long and happy life together. Good luck, you guys! Are we going to see the Erin Richards character Barbara Kean become Harley Quinn in the Gotham season 3 finale?